Gather friends and family for delighting outdoor dining with this large dining set suitable for ten comfortably seated guests. 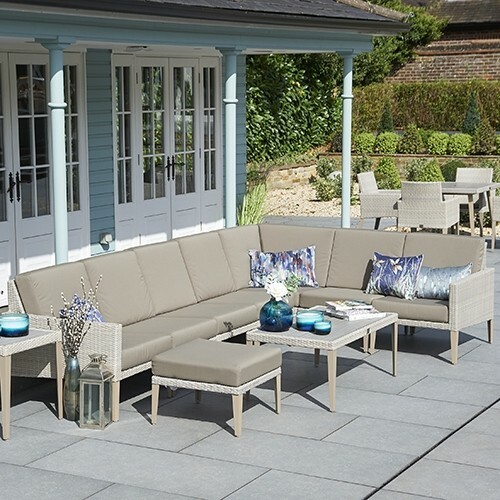 The Hampstead collection combines contemporary elegance with appealing benefits for hassle-free hosting. 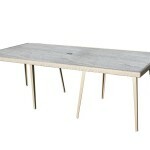 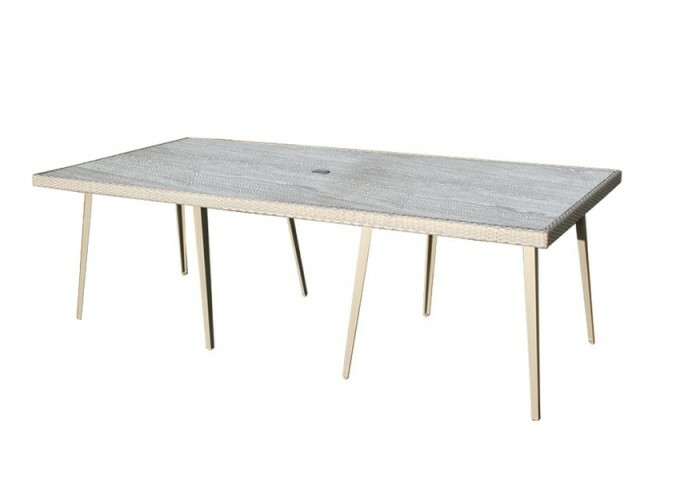 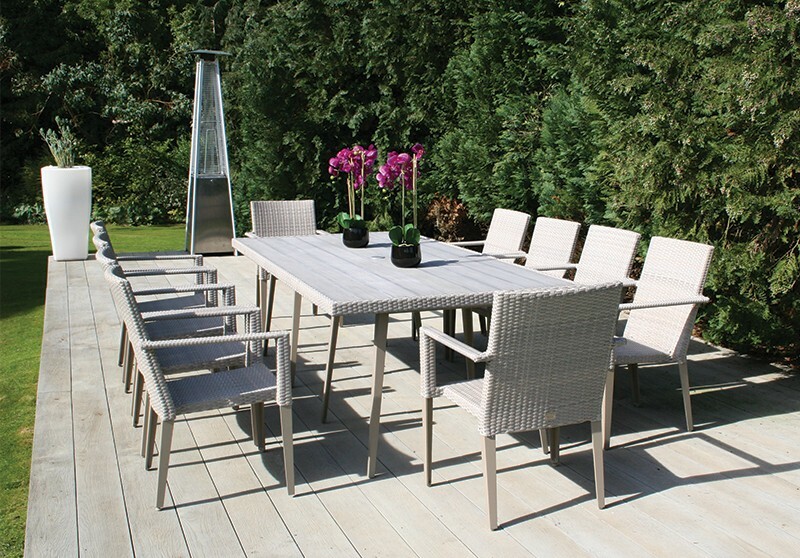 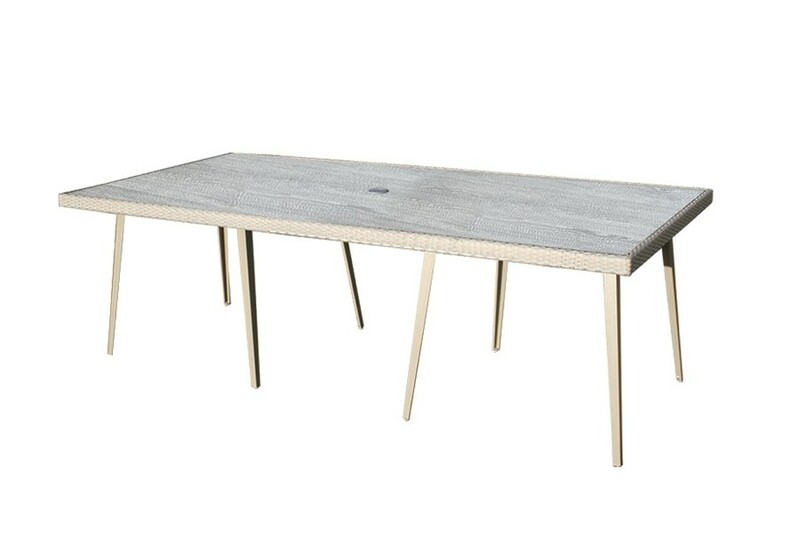 This set is entirely weatherproof with the star of the show being the vast 240cm Hampstead dining table topped with robust and reliable, wood effect material.  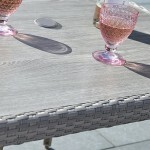 Optionally the top can be upgraded to a high pressure laminate (HPL) which is particularly suited to heavy use. 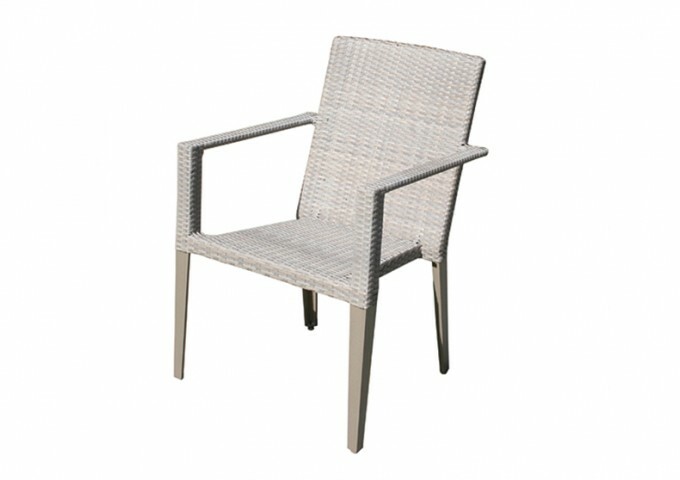 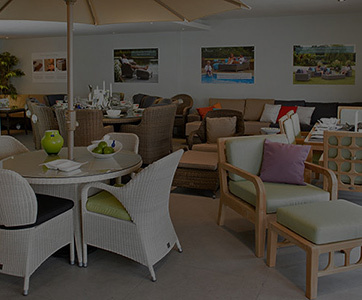 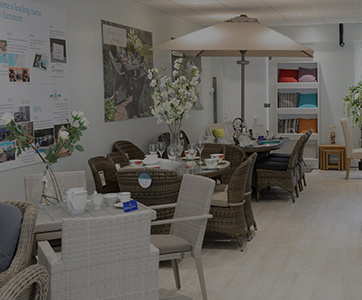 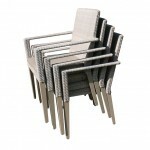 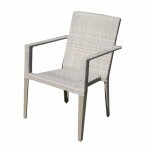 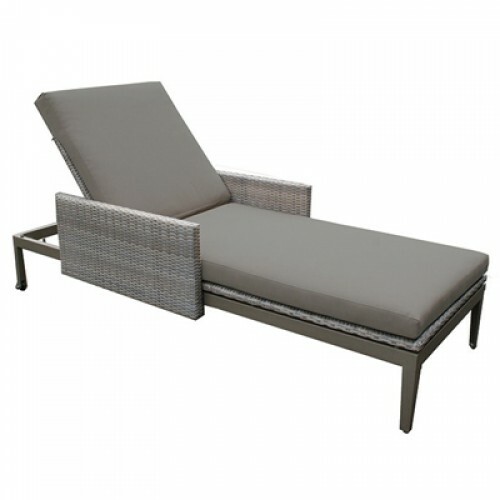 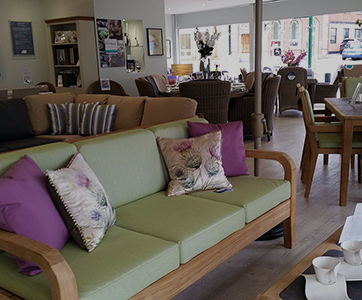 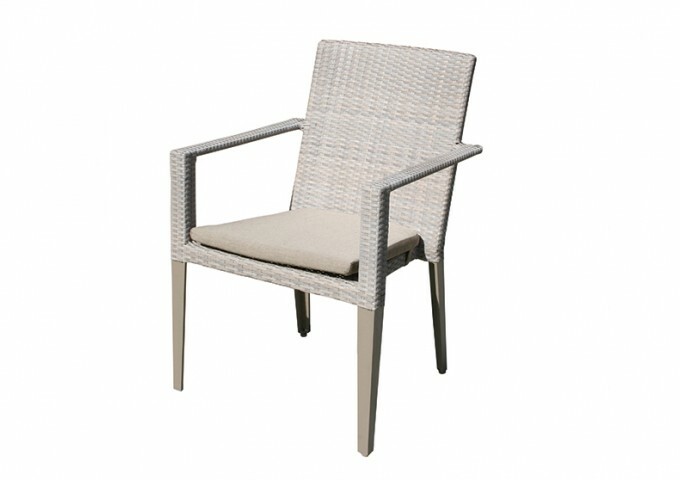 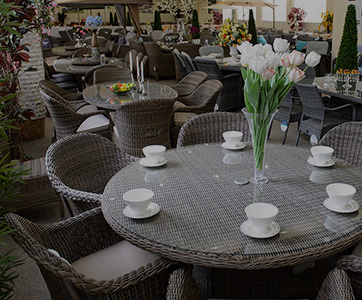 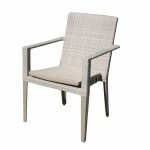 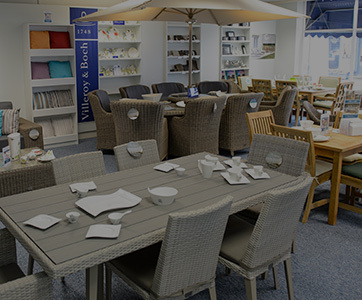 The full set is constructed from a pleasant and practical pairing of powder coated aluminium and synthetic rattan. 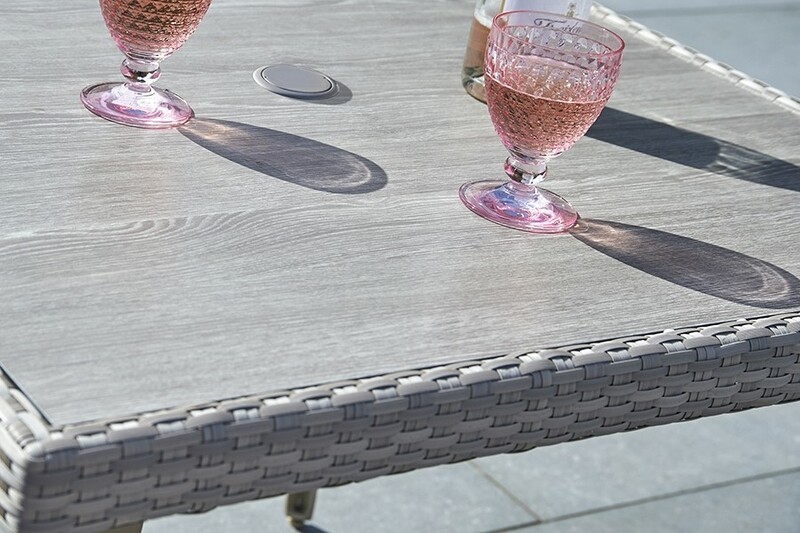 These materials are highly suited to the great outdoors and are effortless to care for whilst looking great. 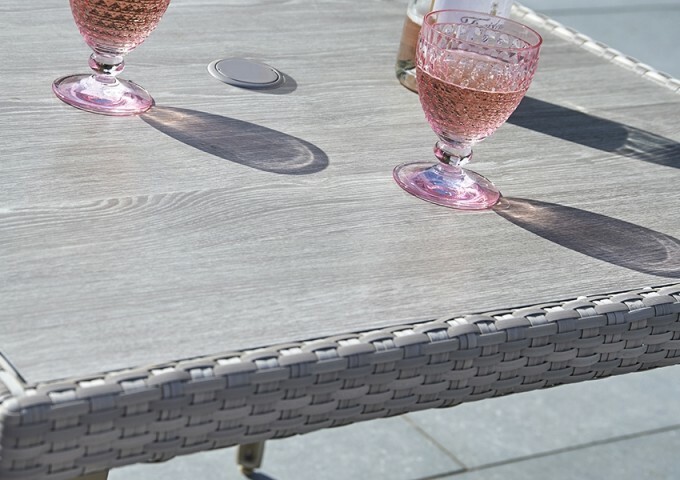 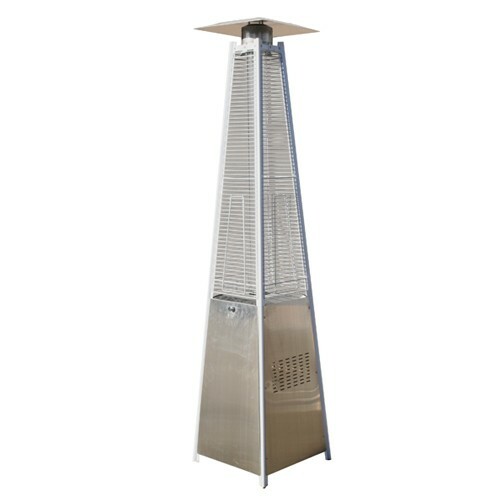 There is no worry about wobble either, as the slender, tapered legs can be adjusted to stand solid and steady on uneven patios, decking and paving. 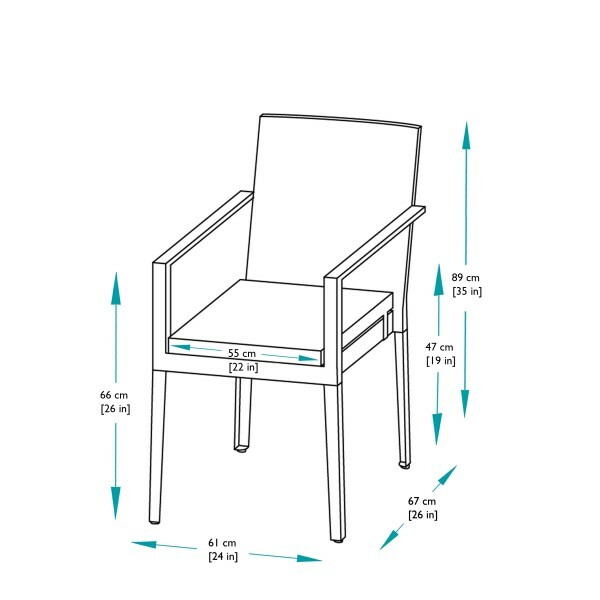 The ten accompanying armchairs bring added convenience as they can be stacked up and stored, or moved aside to make more room for whenever the need arises. 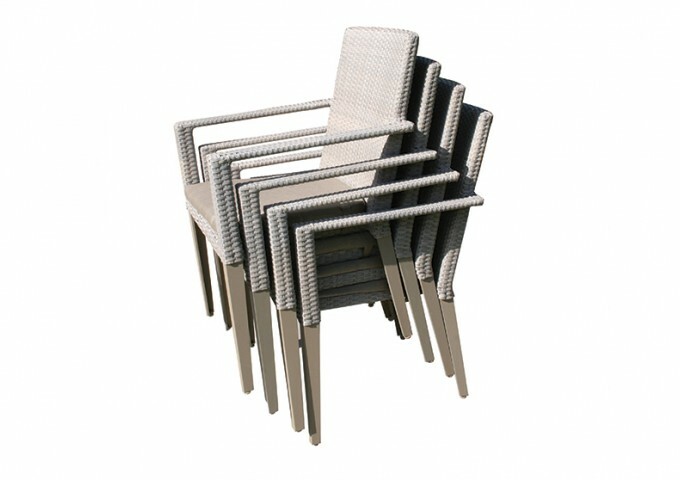 Finish your stacking armchairs with optional fully waterproof cushions in a taupe tone that beautifully blends with the stone-grey weave.